My newborn girl was going crazy tonight and I started to search for some explanations… Then I stumbled upon this… A bright moon and dark sun will grace the sky this Friday the 13th, as a supermoon eclipses part of the sun. Not only is it the first Friday the 13th solar eclipse in over 40 years, but it’s also a supermoon — spooky! SUPERMOON ASSOCIATED WITH A SOLAR ECLIPSE ON FRIDAY THE 13TH… that’s the reason! 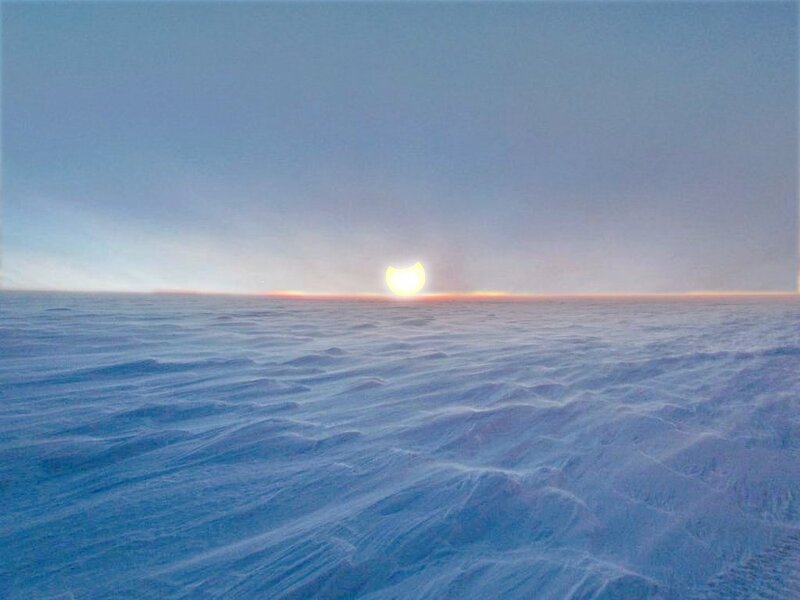 Partial solar eclipse on the coast of Antarctica. 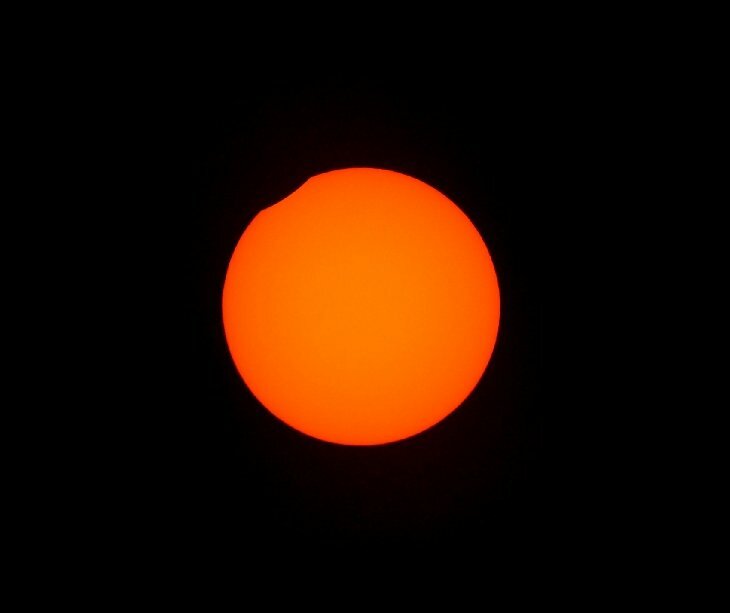 Today in Tasmania, the Moon took a little bite out of the sun. 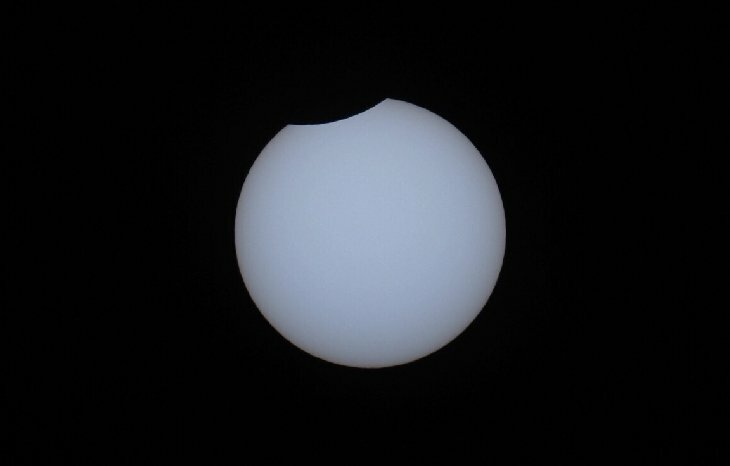 The clear blue sky allowed the wonderful eclipse to be seen in full, which lasted about an hour. At maximum, 10% of the sun was covered over Tasmania and as much as 33% over the northern beaches of Antarctica. This is the first of three eclipses within a month. 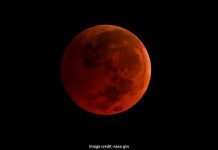 The second will be a total eclipse of the Moon on July 27th. The third one will be another partial eclipse of the Sun on August 11th. 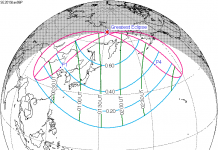 The August eclipse will be over the northern part of the Earth into China. Because the lunar eclipse will pass close to the center of Earth’s shadow, we get to see two partial solar eclipse instead of one (in general). 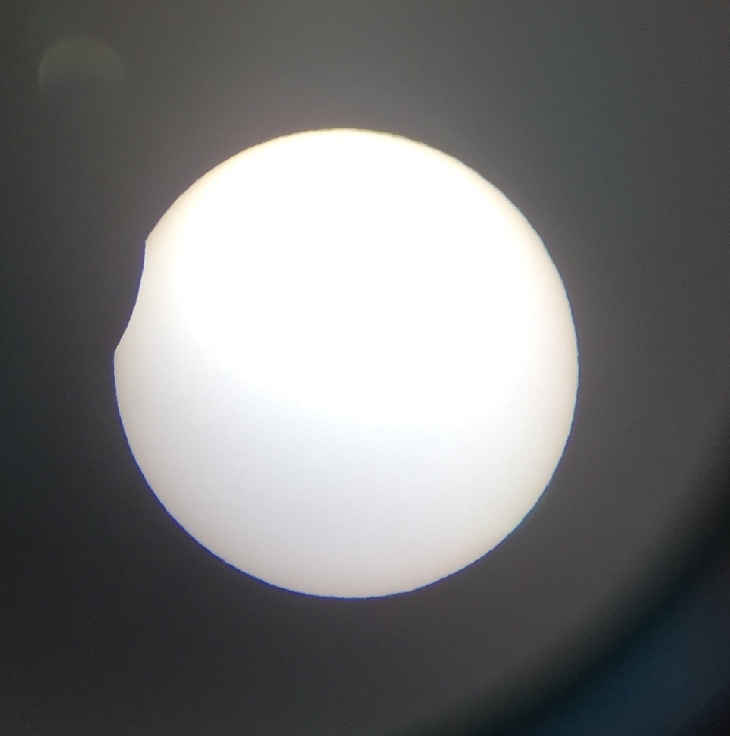 In essence, three eclipses within one month! And one on Friday the 13th!